Cut up the 2 sprigs oregano, 1 sprig basil. Brown the ground beef and Italian sausage. If you don’t want to use Italian sausage then use 1 tray of ground beef. Add 1/2 tsp salt, 1 tsp pepper, and the cutup fresh basil and oregano. Then add the spaghetti sauce, my preference is Prego. Mix the Ricotta cheese with the egg, sugar and Parmesan cheese. 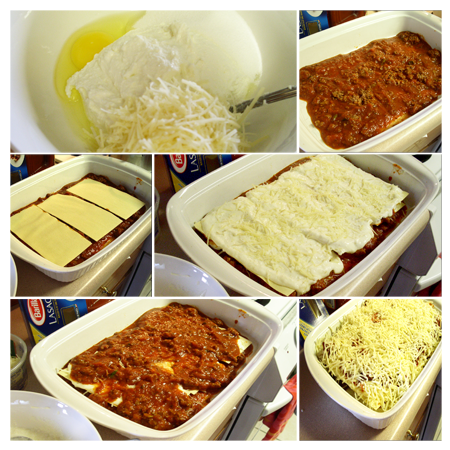 Put on the 1stlayer the meat sauce, the 2nd layer the lasagna noodles, layer 3 the ricotta cheese sauce, sprinkle with some mozzarella and Parmesan cheese. Start the process all over again till all the sauce is used up. Cover and bake in 350F oven for 30 min then take the foil off and bake for another 10 min. Let it stand for half an hour then eat. Cut up the 2 sprigs oregano, 1 sprig basil. Brown the ground beef and italian sausage. 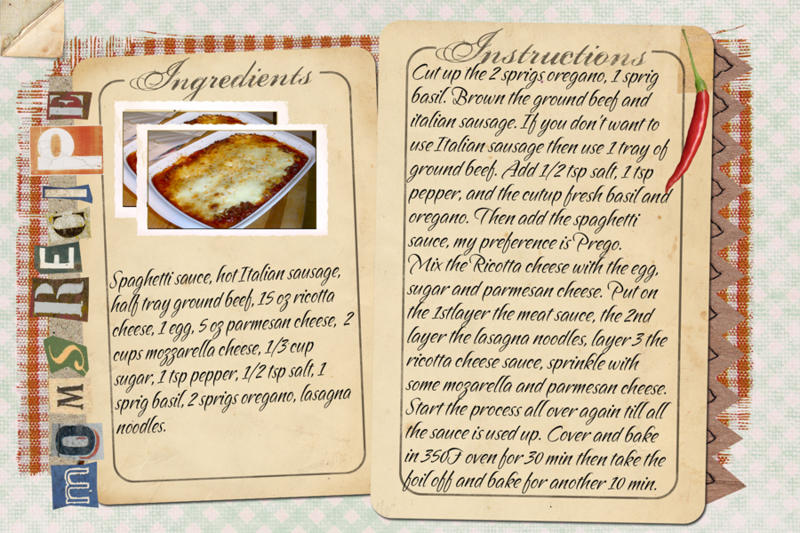 If you don't want to use Italian sausage then use 1 tray of ground beef. 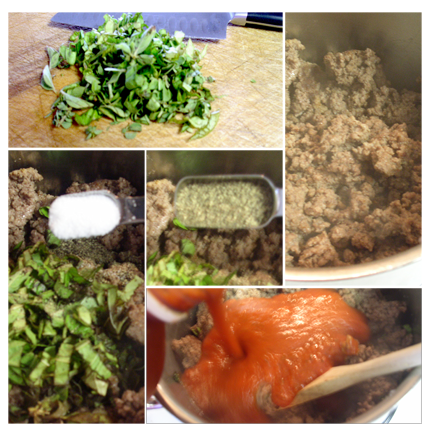 Add ½ tsp salt, 1 tsp pepper, and the cutup fresh basil and oregano. Then add the spaghetti sauce, my preference is Prego. 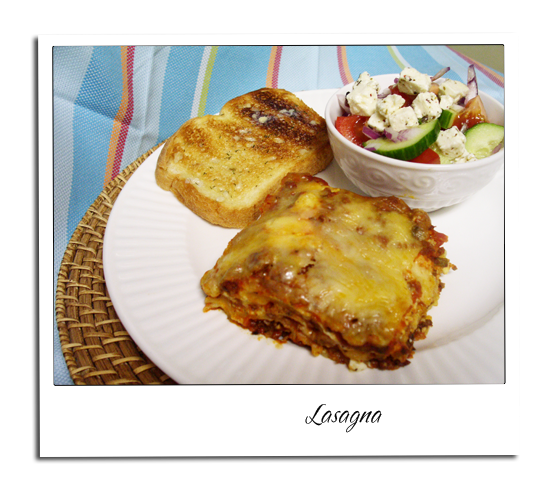 Another good recipe to try. The site is really shaping up nicely!! !